PerfectDomain.com is a new domain name marketplace, catering to new and seasoned domainers.  Perfectdomain.Com Debuts New Services to Streamline the Purchase and Sale of Domains – List your domains with us today! And get noticed! PerfectDomain has officially announced the rollout of powerful new services designed to take the hassle out of buying and selling domains, ensuring that you find a domain that’ll boost brand recognition and bring success. PerfectDomain.com, the perfect marketplace, has today announced the rollout of new features, tools, and solutions. With over two decades of experience in domain sales, purchases, appraisals, and domain brokering, PerfectDomain is ideally positioned to create a seamless experience. The process begins painlessly – creating an account with PerfectDomain.com is free and easy. With the account created, purchasers can search for and select their ideal domain from the robust marketplace (note that the logo displayed with each domain is also included in the sale at no additional cost). And buyers can rest assured that everything is carried out with industry-best transparency – the price you see is always the price you pay. Once the buyer has located the ideal domain, the automated system creates a transaction with Escrow.com for a smooth and safe process for all parties. For sellers, PerfectDomain offers an industry-leading appraisal process that accounts for everything from estimated traffic and backlinking, to brand potential, CPC, domain age, Google PR, and a great deal more. The company charges a flat $250 fee for its appraisal service and takes a 10% commission on normal domain listings, 15% on featured listings. Want to know the best part? We only make money if the domain sells! If you forward your domains to their unique landing pages and/or point the nameservers to PerfectDomain, the commission drops to 8%. For large domain holders, the company offers powerful API services, and PerfectDomain provides a unique partnership program. It allows partners to earn up to 20% of commission earnings for each sale, including 15% per qualifying buyer referrals and 5% for each qualifying seller referral. Currently, PerfectDomain.com is offering a limited-duration promotion – sellers receive 50% off the commission payable for their first sale. Free! Logos for all buyers and sellers for every domain name! You get Your own seller page. Tip: You can forward your own domain to this page to setup your domain shop! You get automated features – the easiest way of adding domains: tag categories are all generated for you!  You can also use upload Bulk tools and CSV files, or we can upload it for you! Use of our Advanced newsletter to configure the type of domains you’re looking for by category, keywords, extension and age, and you’ll be notified by email as soon as they appear on the list. About PerfectDomain: PerfectDomain embodies over 10 years of in-depth experience in buying, selling, and brokering domains, and seeks to help businesses struggling to find their unique brand, while benefiting domain owners seeking to sell. PerfectDomain focuses on unique, brandable domains that help startups create distinctive, memorable identities.